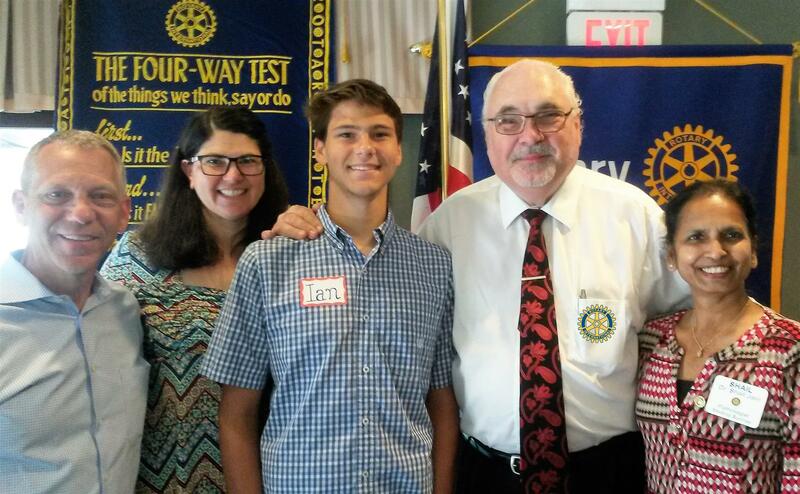 Ian Faunce, a Senior at Highland High School, joined us this morning as the first Medina Sunrise Rotary graduate of Rotary Youth Leadership Awards (RYLA) 5-day Camp held at Baldwin Wallace University. 60 students were selected from around the state to attend RYLA 2018. RYLA, sponsored by Rotary clubs from around the globe, encourages servant leadership in youth by recognizing and rewarding deserving 11th grade students who are chosen to attend RYLA as an "award" for their past and present leadership and service activities. These select young people attend an all-expense-paid camp where they are inspired by a diverse group of exceptional speakers, make life-long friends through fellowship activities, and discuss the ethical and social issues of today. These activities are conducted in an atmosphere of compassion, trust and respect. "The most valuable part of the program, beyond the many activities which encouraged community volunteering, civic engagement, and the Nobel Peace Prize nominated ShelterBox World Disaster Relief program, were the strong bonds of friendship we formed," said Ian Faunce. "Meeting new people and learning from each other, I am confident that it is people that make it work. Thank you Rotary for this live changing opportunity to grow and learn how to be an inspiration with others." Dr. Mike Carlson - past Highland Schools Superintendent and Dr. Shail Jain - Medina Sunrise Rotary Club president congratulated Ian Faunce and his parents - Morgan and Melanie, as our first graduate of RYLA Camp and wished him every success in his Senior year at Highland High School.